From an award winning journalist, a real Field of Dreams story about a legendary coach and the professional-caliber baseball program he built in America’s heartland, where boys come summer after summer to be molded into ball players – and men. Clarinda, Iowa, population 5,000, sits two hours from anything. There, between the corn fields and hog yards, is a ball field with a bronze bust of a man named Merl Eberly, a baseball whisperer who specialized in second chances and lost causes. The statue is a gift from one of Merl’s original long-shot projects, a skinny kid from the ghetto in Los Angeles who would one day become a beloved Hall-of-Fame shortstop: Ozzie Smith. The Baseball Whisperer traces the remarkable story of Merl Eberly and his Clarinda A’s baseball team, which he tended over the course of five decades, transforming them from a town team to a collegiate summer league powerhouse. Along with Smith, future manager Buddy Black and star player Von Hayes, Merl taught them to be men, insisting on hard work, integrity and responsibility. More than a book about baseball players who landed in the nation’s agricultural heartland, The Baseball Whisperer is the story of a coach who puts character and dedication first, and reminds us of the best purest form of excellence. BOOK TO COME OUT JULY 5, 2016 – Is available for pre-order on Amazon.com. "Mike Tackett, talented journalist and baseball lover, has hit the sweet spot of the bat with his first book. The Baseball Whisperer takes one coach and one small Iowa town and illuminates both a sport and the human spirit." 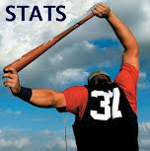 "Michael Tackett takes us to a wonderful place and time in his heartwarming story about the small-town man who made big baseball dreams come true. The Baseball Whisperer is a compelling sports story, but it also delivers on the valuable life lessons that come from great sports leadership: hard work, honesty, compassion. The story of summer league baseball is the story of the American heartland, and Tackett has captured it beautifully." "For all who care about baseball, character and leadership, Michael Tackett has brought us the inspiring and unforgettable story of a phenomenal coach and his legacy." Brian Poldberg has been added to those appearing at the Clarinda Baseball Hall of Fame banquet Saturday, November 23 at the Clarinda Academy Activities Center. An A’s catcher in 1979, he has just recently been named as Manager of the Kansas City Royals AAA Omaha Storm Chasers team. 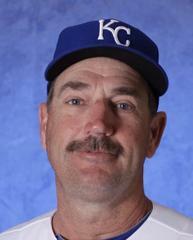 He has been w/the Royals organization as a player, coach and manager. 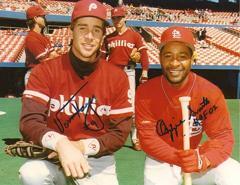 He joins fellow A’s alum Hall of Fame shortstop Ozzie Smith of the St. Louis Cardinals and Von Hayes who spent most of his major league career with the Philadelphia Phillies at the banquet. Reminder doors open at 4:30 for those wanting to view items for the silent & live auction, with autograph session to start at 5:00 followed by dinner and the program. Advance tickets are $20 for adults and $16 for students K-12; at the door they will be $25 and $20. Tickets are good for one autograph from each guest celebrity, dinner and a bidding number for the silent auction. For further information call (712) 542-4272 or send ticket order to 225 E. Lincoln, Clarinda, IA 51632. Reserved seating is done as paid reservations are received. Tickets are now available for the Clarinda A’s 39th annual Hall of Fame banquet set for Saturday, November 23 at the Clarinda Academy Activities Center. Doors will open at 4:30 for those wanting to view the items for the silent auction, with selected pieces to be part of a live auction. Major league balls and 8X10 photos of Smith and Hayes will be available for the autograph session and A’s shirts, hats and other team merchandise will also be for sale. Advance tickets are $16 for students K-12 and $20 for adults; at the door they will be $20 and $25. Each ticket is good for one autograph from each visiting celebrity, dinner and a bidding number for the silent auction. Extra autographs will be $20. All proceeds from this event go into the A’s operating budget. Reserved seating will be assigned as paid ticket orders are received. For further information, call (712) 542-4272 or send your ticket order and remittance to Hall of Fame Banquet, 225 E. Lincoln, Clarinda, IA 51632. Locally tickets can be purchased and picked up at the Chamber of Commerce office and J’s Pizza & Steak House. 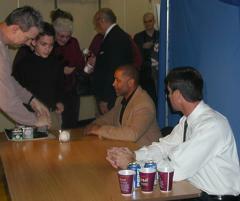 Ozzie & Von signing autographs at a previous banquet.